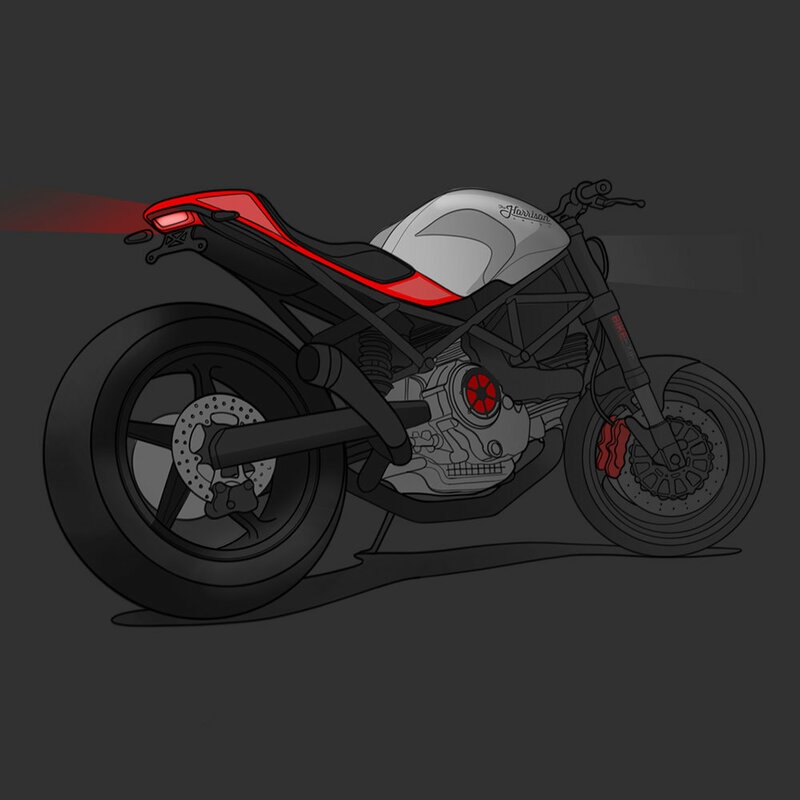 The Harrison Award is a challenge for emerging designers and builder to design and build two Ducati Motorcycles that meet the standards of the Harrison Collection. The top two selected builders will receive a contract to build their design based on the donor bike and budget received from Gerald Harrison. . This competition was made possible by Gerald Harrison and his assembled judge panel that includes Chris Hunter from Bike Exif, Gareth Roberts and Max Hazan. 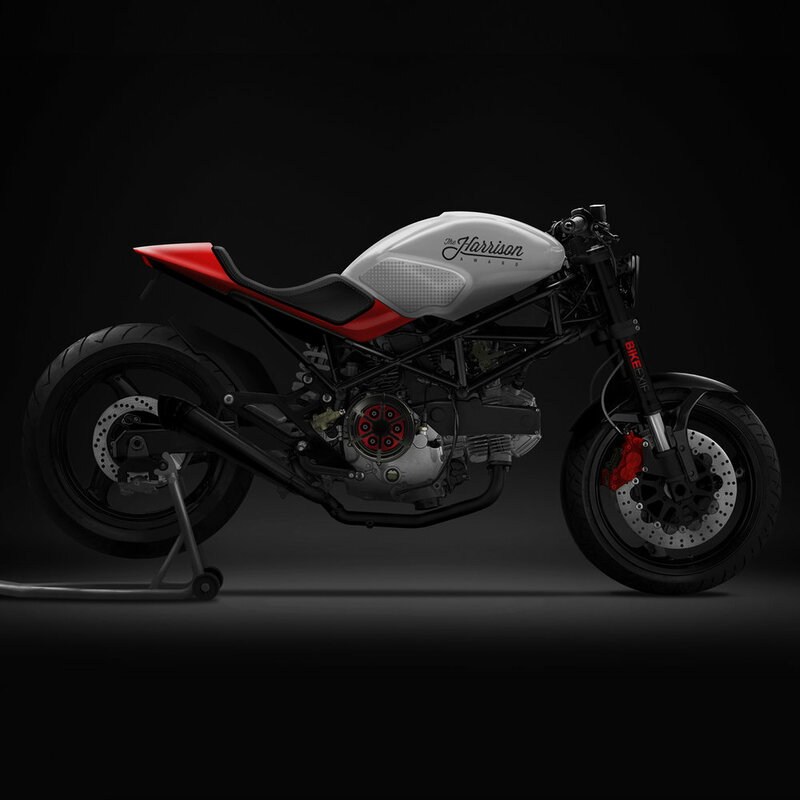 The Carbon Projects entry was based on the Ducati Monster M900 chassis, utilizing many of the OEM parts while still incorporating some custom parts to streamline the existing bike. A custom tail and sub frame extension would be fabricated along with custom CNC machined components. The Carbon Projects concept proposal was selected 5th out of over 100 entry’s.